Raise your hand if you're ready for summer! "Ooo, ooo, me, I am!" As things heat up here in Texas we're constantly looking for ways to cool down. Bonus points if that way is also delicious! I've been making homemade popsicles and ice cream since I was kid, I may be an expert, who knows! 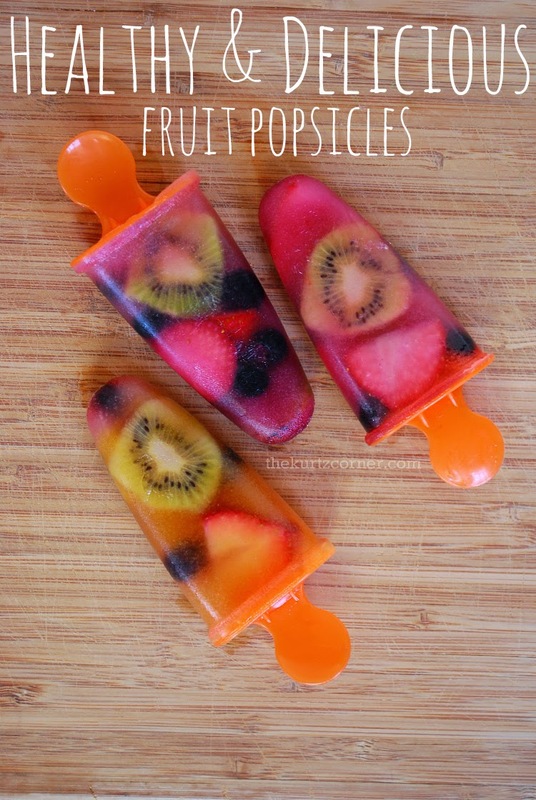 One thing is for sure though and that is these healthy fruit popsicles are delicious! Who needs store bought when you can make your own? I'm not even sure what are in those "natural fruit pops" anyhow...and PS preservatives are not natural! Ick. 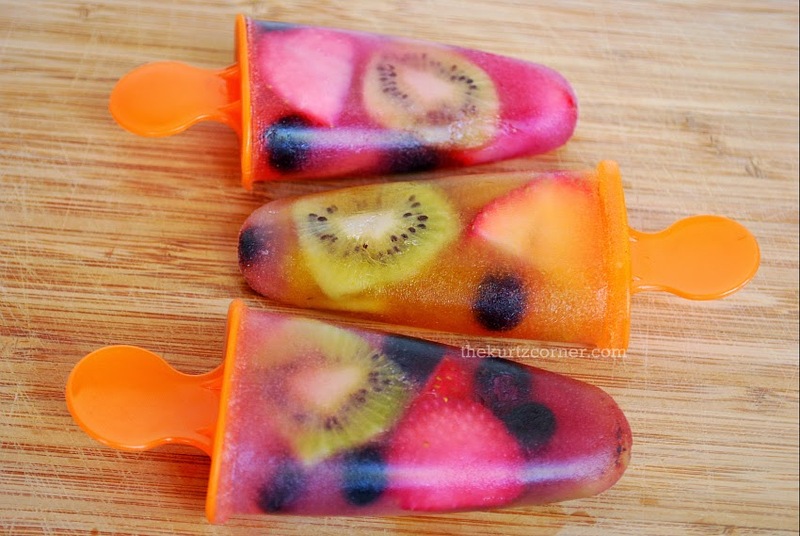 So, if you want to keep that beach bod slender, stay away from those sugar packing fudge pops and make yourself some healthy fruit popsicles! 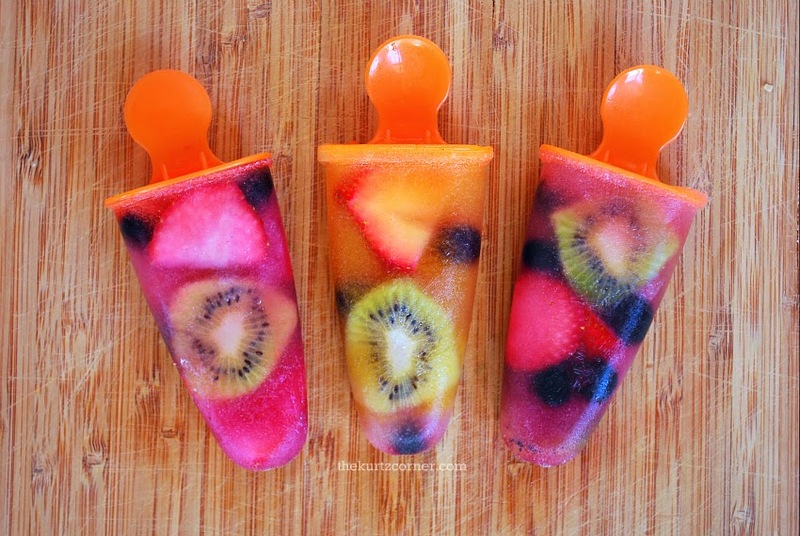 You'll also need a knife to cut your fruit and popsicles molds. It's that easy! Now grab some fruit and coconut water and make your own! 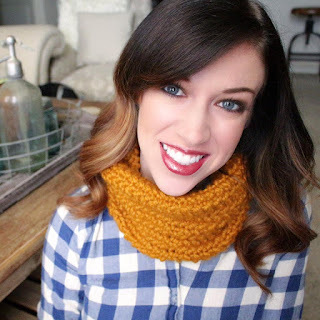 For more DIY videos like this subscribe to my YouTube channel! 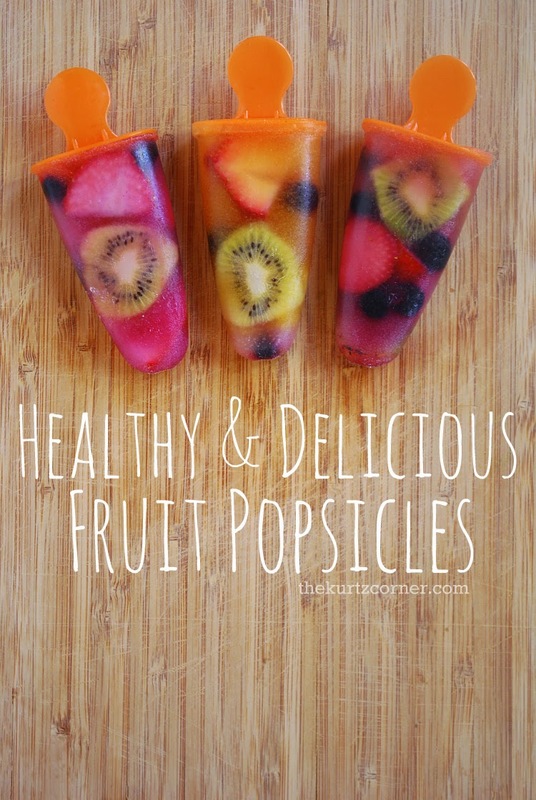 Ooh these do look lovely and refreshing. Now we just need some sunshine here in which to enjoy them.